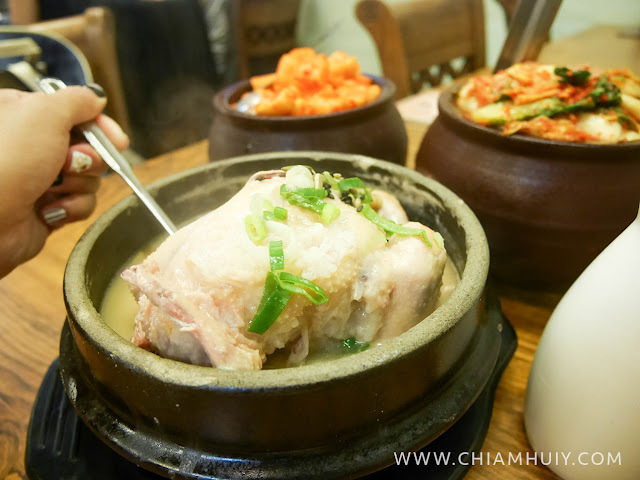 We visited Tosokchon for some amazing authentic Korean ginseng chicken soup just today and I truly think that it's so delicious, it deserves an article on its own! 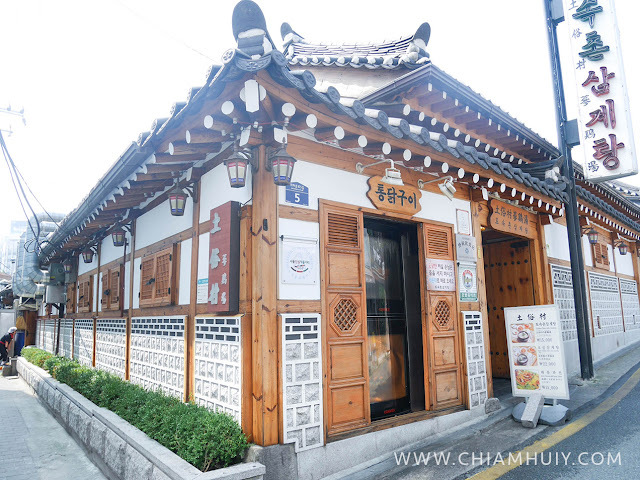 Just like you, I practically googled "best ginseng chicken soup in Seoul" and bam, Tosokchon was the first on the list. Let's find out how great it is, shall we? For fans of chicken soup, this is the right place. Tosokchon serves their ginseng chicken soup, also known as Samgyetang, in very big portion too. I shared a bowl of chicken soup with my friend and it was enough to leave us both very satisfied. Ingredients including the key ingredient like Ginseng are very generously thrown in, making the chicken soup broth extremely tasty and thick. Inside the soup, you'll find a whole young chicken inside. Stuffed in the chicken were glutinous rice and some other chinese TCM ingredients like red dates. I can tell you the chicken meat was so tender it just fell off from the bone effortlessly. 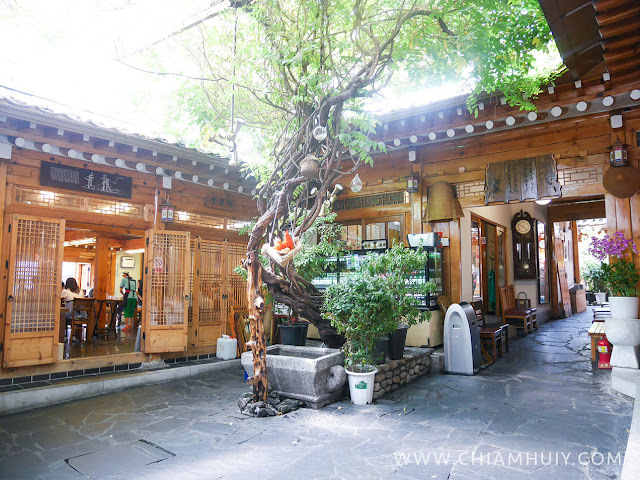 Since we were already in the house of Ginseng, I went ahead to order the Ginseng wine and gosh the alcohol content of it must be really high! Felt like I was drinking volka shots hahaha. Nonetheless, definitely a nourishing drink, you'll feel heated up instantly. Directions [Subway] Gyeongbokgung Station (Seoul Subway Line 3), Exit 2. Go straight about 170m and turn left onto Jahamun-ro 5-gil Road. Tosokchon (토속촌) is located 10m ahead on the left. 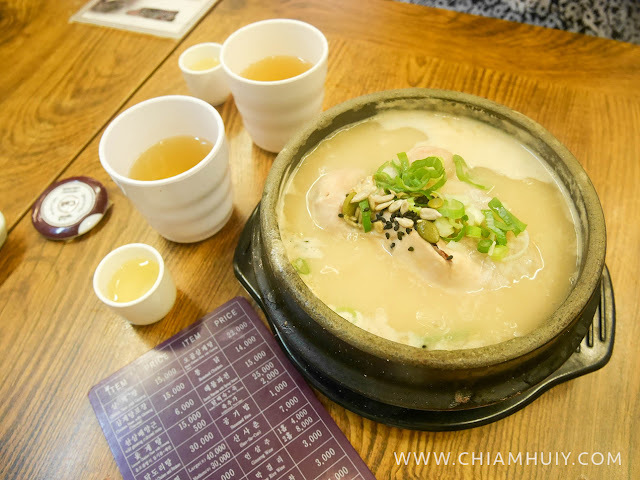 For one of the best ginseng chicken soup in Seoul, I would say Tosokchon is a great choice, with thanks to its accessible location too. We visited as soon as they open (10am) so there wasn't any long queue or long wait. But I read reviews online that the queue can go very long during peak timings so do avoid that!